Refer and Earn 25% revenue share FOREVER! 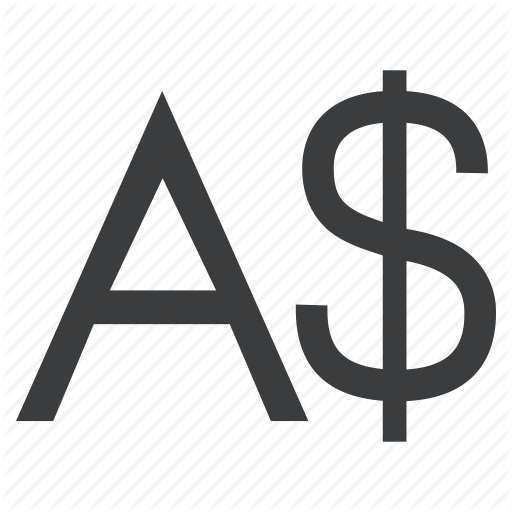 Complete US Dollar (USD) analysis with rates, charts, and price prediction. Learn about US Dollar (USD), its technology and potential. Complete Binance Coin (BNB) analysis with rates, charts, and price prediction. Learn about Binance Coin (BNB), its technology and potential. Complete Japanese Yen (JPY) analysis with rates, charts, and price prediction. 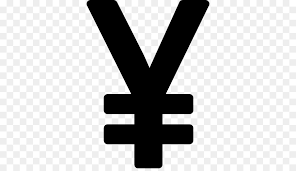 Learn about Japanese Yen (JPY), its technology and potential. Complete Ripple (XRP) analysis with rates, charts, and price prediction. Learn about Ripple (XRP), its technology and potential. Complete Litecoin (LTC) analysis with rates, charts, and price prediction. Learn about Litecoin (LTC), its technology and potential. Complete Cardano (ADA) analysis with rates, charts, and price prediction. Learn about Cardano (ADA), its technology and potential. Complete TRON (TRX) analysis with rates, charts, and price prediction. Learn about TRON (TRX), its technology and potential. Complete EOS (EOS) analysis with rates, charts, and price prediction. Learn about EOS (EOS), its technology and potential. Complete Verge (XVG) analysis with rates, charts, and price prediction. Learn about Verge (XVG), its technology and potential. Complete NEO (NEO) analysis with rates, charts, and price prediction. Learn about NEO (NEO), its technology and potential. Complete IOTA (MIOTA) analysis with rates, charts, and price prediction. Learn about IOTA (MIOTA), its technology and potential. Complete Bitcoin (BTC) analysis with rates, charts, and price prediction. Learn about Bitcoin (BTC), its technology and potential. 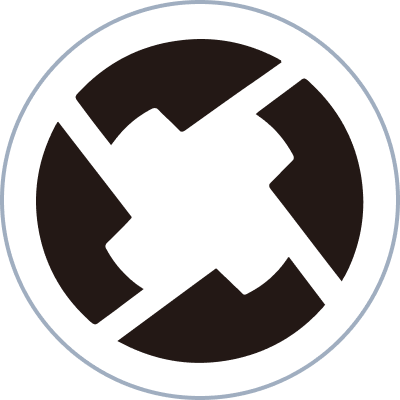 Complete 0x (ZRX) analysis with rates, charts, and price prediction. Learn about 0x (ZRX), its technology and potential. Complete VeChain (VET) analysis with rates, charts, and price prediction. Learn about VeChain (VET), its technology and potential. Complete Qtum (QTUM) analysis with rates, charts, and price prediction. Learn about Qtum (QTUM), its technology and potential. 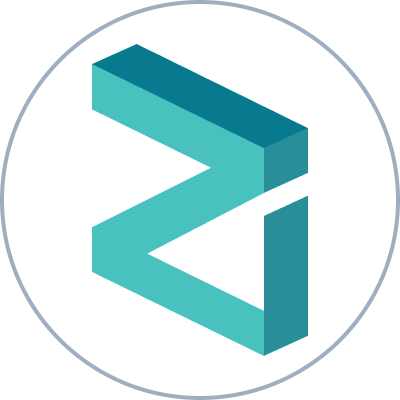 Complete Zilliqa (ZIL) analysis with rates, charts, and price prediction. Learn about Zilliqa (ZIL), its technology and potential. Complete Ethereum (ETH) analysis with rates, charts, and price prediction. Learn about Ethereum (ETH), its technology and potential. Complete Ethereum Classic (ETC) analysis with rates, charts, and price prediction. Learn about Ethereum Classic (ETC), its technology and potential. Complete ICON (ICX) analysis with rates, charts, and price prediction. Learn about ICON (ICX), its technology and potential. Complete HyperCash (HC) analysis with rates, charts, and price prediction. Learn about HyperCash (HC), its technology and potential. Complete Ontology (ONT) analysis with rates, charts, and price prediction. Learn about Ontology (ONT), its technology and potential. 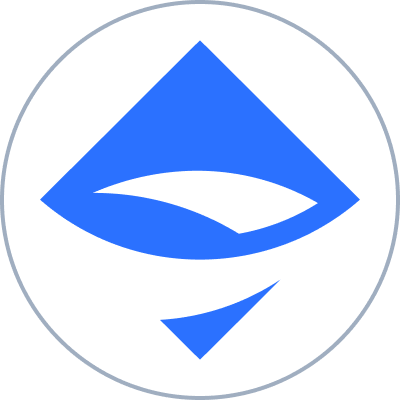 Complete aelf (ELF) analysis with rates, charts, and price prediction. Learn about aelf (ELF), its technology and potential. Complete AdEx (ADX) analysis with rates, charts, and price prediction. Learn about AdEx (ADX), its technology and potential. Complete CEEK VR (CEEK) analysis with rates, charts, and price prediction. Learn about CEEK VR (CEEK), its technology and potential. Complete Aragon (ANT) analysis with rates, charts, and price prediction. Learn about Aragon (ANT), its technology and potential. Complete Ark (ARK) analysis with rates, charts, and price prediction. Learn about Ark (ARK), its technology and potential. Complete Basic Attention Token (BAT) analysis with rates, charts, and price prediction. 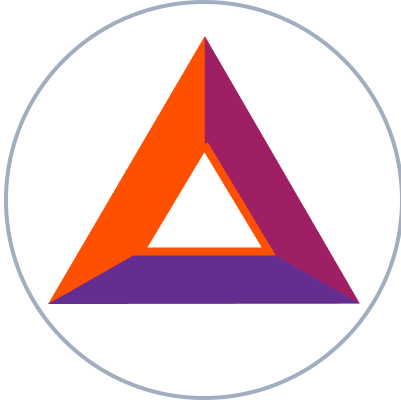 Learn about Basic Attention Token (BAT), its technology and potential. Complete Bytecoin (BCN) analysis with rates, charts, and price prediction. Learn about Bytecoin (BCN), its technology and potential. Complete CampusCoin (CMPCO) analysis with rates, charts, and price prediction. Learn about CampusCoin (CMPCO), its technology and potential. Complete BlackCoin (BLK) analysis with rates, charts, and price prediction. Learn about BlackCoin (BLK), its technology and potential. Complete Bancor (BNT) analysis with rates, charts, and price prediction. 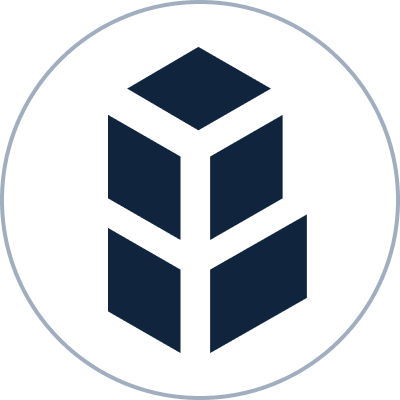 Learn about Bancor (BNT), its technology and potential. Complete BitSend (BSD) analysis with rates, charts, and price prediction. Learn about BitSend (BSD), its technology and potential. Complete TenX (PAY) analysis with rates, charts, and price prediction. Learn about TenX (PAY), its technology and potential. Complete Cofound.it (CFI) analysis with rates, charts, and price prediction. Learn about Cofound.it (CFI), its technology and potential. Complete Clams (CLAM) analysis with rates, charts, and price prediction. Learn about Clams (CLAM), its technology and potential. Complete CloakCoin (CLOAK) analysis with rates, charts, and price prediction. Learn about CloakCoin (CLOAK), its technology and potential. Complete Creditbit (CRB) analysis with rates, charts, and price prediction. Learn about Creditbit (CRB), its technology and potential. Complete Civic (CVC) analysis with rates, charts, and price prediction. Learn about Civic (CVC), its technology and potential. Complete Dash (DASH) analysis with rates, charts, and price prediction. Learn about Dash (DASH), its technology and potential. Complete Decred (DCR) analysis with rates, charts, and price prediction. Learn about Decred (DCR), its technology and potential. Complete Gas (GAS) analysis with rates, charts, and price prediction. Learn about Gas (GAS), its technology and potential. Complete DigiByte (DGB) analysis with rates, charts, and price prediction. Learn about DigiByte (DGB), its technology and potential. Complete DigixDAO (DGD) analysis with rates, charts, and price prediction. Learn about DigixDAO (DGD), its technology and potential. Complete district0x (DNT) analysis with rates, charts, and price prediction. Learn about district0x (DNT), its technology and potential. Complete Dogecoin (DOGE) analysis with rates, charts, and price prediction. Learn about Dogecoin (DOGE), its technology and potential. Complete Edgeless (EDG) analysis with rates, charts, and price prediction. Learn about Edgeless (EDG), its technology and potential. Complete Lisk (LSK) analysis with rates, charts, and price prediction. Learn about Lisk (LSK), its technology and potential. Complete Waves (WAVES) analysis with rates, charts, and price prediction. Learn about Waves (WAVES), its technology and potential. Complete Factom (FCT) analysis with rates, charts, and price prediction. Learn about Factom (FCT), its technology and potential. Complete FunFair (FUN) analysis with rates, charts, and price prediction. Learn about FunFair (FUN), its technology and potential. Complete GameCredits (GAME) analysis with rates, charts, and price prediction. Learn about GameCredits (GAME), its technology and potential. Complete Gnosis (GNO) analysis with rates, charts, and price prediction. Learn about Gnosis (GNO), its technology and potential. Complete Golem (GNT) analysis with rates, charts, and price prediction. Learn about Golem (GNT), its technology and potential. Complete Matchpool (GUP) analysis with rates, charts, and price prediction. Learn about Matchpool (GUP), its technology and potential. Complete Humaniq (HMQ) analysis with rates, charts, and price prediction. Learn about Humaniq (HMQ), its technology and potential. Complete IO Coin (IOC) analysis with rates, charts, and price prediction. Learn about IO Coin (IOC), its technology and potential. Complete Internet of People (IOP) analysis with rates, charts, and price prediction. Learn about Internet of People (IOP), its technology and potential. Complete Komodo (KMD) analysis with rates, charts, and price prediction. Learn about Komodo (KMD), its technology and potential. 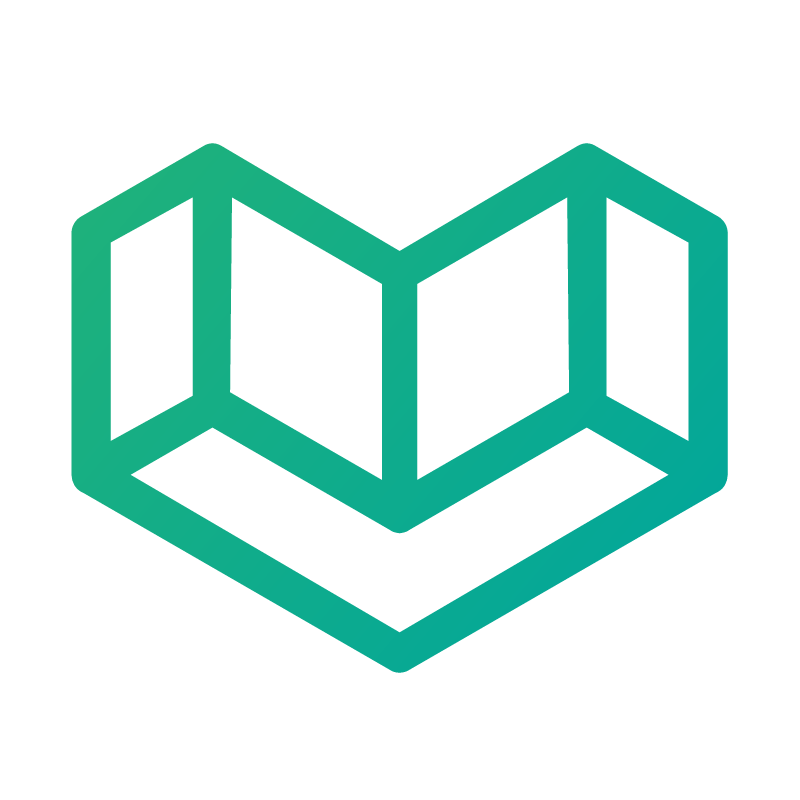 Complete LBRY Credits (LBC) analysis with rates, charts, and price prediction. Learn about LBRY Credits (LBC), its technology and potential. Complete Bitcoin Gold (BTG) analysis with rates, charts, and price prediction. Learn about Bitcoin Gold (BTG), its technology and potential. Complete Lunyr (LUN) analysis with rates, charts, and price prediction. Learn about Lunyr (LUN), its technology and potential. Complete Siacoin (SC) analysis with rates, charts, and price prediction. Learn about Siacoin (SC), its technology and potential. Complete Russian Ruble (RUB) analysis with rates, charts, and price prediction. Learn about Russian Ruble (RUB), its technology and potential. Complete Pound (GBP) analysis with rates, charts, and price prediction. 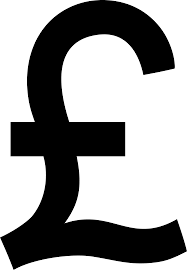 Learn about Pound (GBP), its technology and potential. Complete Australian Dollar (AUD) analysis with rates, charts, and price prediction. Learn about Australian Dollar (AUD), its technology and potential. 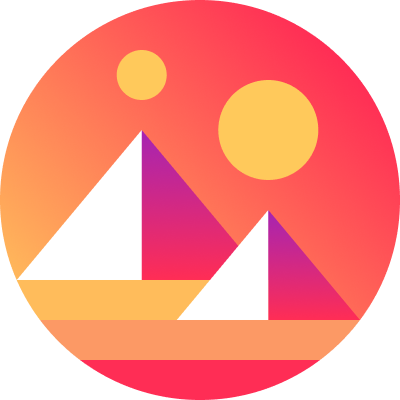 Complete Decentraland (MANA) analysis with rates, charts, and price prediction. Learn about Decentraland (MANA), its technology and potential. Complete Crypto.com (MCO) analysis with rates, charts, and price prediction. Learn about Crypto.com (MCO), its technology and potential. Complete Melon (MLN) analysis with rates, charts, and price prediction. Learn about Melon (MLN), its technology and potential. Complete MonaCoin (MONA) analysis with rates, charts, and price prediction. Learn about MonaCoin (MONA), its technology and potential. Complete Metal (MTL) analysis with rates, charts, and price prediction. Learn about Metal (MTL), its technology and potential. Complete NAV coin (NAV) analysis with rates, charts, and price prediction. Learn about NAV coin (NAV), its technology and potential. Complete NuBits (USNBT) analysis with rates, charts, and price prediction. Learn about NuBits (USNBT), its technology and potential. Complete Neblio (NEBL) analysis with rates, charts, and price prediction. Learn about Neblio (NEBL), its technology and potential. 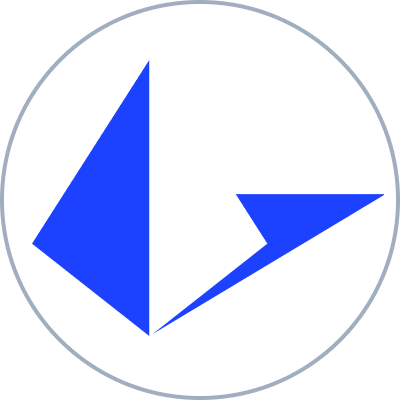 Complete Gulden (NLG) analysis with rates, charts, and price prediction. Learn about Gulden (NLG), its technology and potential. Complete Numeraire (NMR) analysis with rates, charts, and price prediction. Learn about Numeraire (NMR), its technology and potential. Complete Nxt (NXT) analysis with rates, charts, and price prediction. Learn about Nxt (NXT), its technology and potential. Complete OKCash (OK) analysis with rates, charts, and price prediction. Learn about OKCash (OK), its technology and potential. Complete OmiseGO (OMG) analysis with rates, charts, and price prediction. Learn about OmiseGO (OMG), its technology and potential. Complete PIVX (PIVX) analysis with rates, charts, and price prediction. Learn about PIVX (PIVX), its technology and potential. Complete PotCoin (POT) analysis with rates, charts, and price prediction. Learn about PotCoin (POT), its technology and potential. Complete Peercoin (PPC) analysis with rates, charts, and price prediction. Learn about Peercoin (PPC), its technology and potential. Complete Radium (RADS) analysis with rates, charts, and price prediction. Learn about Radium (RADS), its technology and potential. Complete ReddCoin (RDD) analysis with rates, charts, and price prediction. Learn about ReddCoin (RDD), its technology and potential. Complete Augur (REP) analysis with rates, charts, and price prediction. Learn about Augur (REP), its technology and potential. Complete iExec RLC (RLC) analysis with rates, charts, and price prediction. Learn about iExec RLC (RLC), its technology and potential. Complete SALT (SALT) analysis with rates, charts, and price prediction. Learn about SALT (SALT), its technology and potential. Complete MaidSafeCoin (MAID) analysis with rates, charts, and price prediction. Learn about MaidSafeCoin (MAID), its technology and potential. Complete SaluS (SLS) analysis with rates, charts, and price prediction. Learn about SaluS (SLS), its technology and potential. Complete SmartCash (SMART) analysis with rates, charts, and price prediction. Learn about SmartCash (SMART), its technology and potential. Complete SingularDTV (SNGLS) analysis with rates, charts, and price prediction. Learn about SingularDTV (SNGLS), its technology and potential. Complete Status (SNT) analysis with rates, charts, and price prediction. Learn about Status (SNT), its technology and potential. Complete Startcoin (START) analysis with rates, charts, and price prediction. Learn about Startcoin (START), its technology and potential. Complete Storj (STORJ) analysis with rates, charts, and price prediction. Learn about Storj (STORJ), its technology and potential. Complete Stratis (STRAT) analysis with rates, charts, and price prediction. Learn about Stratis (STRAT), its technology and potential. Complete Swarm City (SWT) analysis with rates, charts, and price prediction. Learn about Swarm City (SWT), its technology and potential. Complete Syndicate (SYNX) analysis with rates, charts, and price prediction. Learn about Syndicate (SYNX), its technology and potential. Complete Syscoin (SYS) analysis with rates, charts, and price prediction. Learn about Syscoin (SYS), its technology and potential. Complete Chronobank (TIME) analysis with rates, charts, and price prediction. Learn about Chronobank (TIME), its technology and potential. Complete TokenCard (TKN) analysis with rates, charts, and price prediction. Learn about TokenCard (TKN), its technology and potential. Complete WeTrust (TRST) analysis with rates, charts, and price prediction. Learn about WeTrust (TRST), its technology and potential. Complete Ubiq (UBQ) analysis with rates, charts, and price prediction. Learn about Ubiq (UBQ), its technology and potential. Complete Tether (USDT) analysis with rates, charts, and price prediction. Learn about Tether (USDT), its technology and potential. Complete Viacoin (VIA) analysis with rates, charts, and price prediction. Learn about Viacoin (VIA), its technology and potential. Complete RevolutionVR (RVR) analysis with rates, charts, and price prediction. Learn about RevolutionVR (RVR), its technology and potential. Complete VeriCoin (VRC) analysis with rates, charts, and price prediction. Learn about VeriCoin (VRC), its technology and potential. Complete Vertcoin (VTC) analysis with rates, charts, and price prediction. Learn about Vertcoin (VTC), its technology and potential. Complete Wings (WINGS) analysis with rates, charts, and price prediction. Learn about Wings (WINGS), its technology and potential. Complete Xaurum (XAUR) analysis with rates, charts, and price prediction. Learn about Xaurum (XAUR), its technology and potential. Complete Counterparty (XCP) analysis with rates, charts, and price prediction. Learn about Counterparty (XCP), its technology and potential. Complete DigitalNote (XDN) analysis with rates, charts, and price prediction. Learn about DigitalNote (XDN), its technology and potential. Complete NEM (XEM) analysis with rates, charts, and price prediction. Learn about NEM (XEM), its technology and potential. Complete Stellar Lumens (XLM) analysis with rates, charts, and price prediction. Learn about Stellar Lumens (XLM), its technology and potential. Complete Steem (STEEM) analysis with rates, charts, and price prediction. Learn about Steem (STEEM), its technology and potential. Complete ExclusiveCoin (EXCL) analysis with rates, charts, and price prediction. Learn about ExclusiveCoin (EXCL), its technology and potential. Complete ZCoin (XZC) analysis with rates, charts, and price prediction. Learn about ZCoin (XZC), its technology and potential. Complete Zcash (ZEC) analysis with rates, charts, and price prediction. Learn about Zcash (ZEC), its technology and potential. Complete Sequence (SEQ) analysis with rates, charts, and price prediction. Learn about Sequence (SEQ), its technology and potential. Complete Emercoin (EMC) analysis with rates, charts, and price prediction. Learn about Emercoin (EMC), its technology and potential. Complete eBoost (EBST) analysis with rates, charts, and price prediction. Learn about eBoost (EBST), its technology and potential. Complete ZenCash (ZEN) analysis with rates, charts, and price prediction. Learn about ZenCash (ZEN), its technology and potential. Complete Rubycoin (RBY) analysis with rates, charts, and price prediction. Learn about Rubycoin (RBY), its technology and potential. Complete Florin (FLO) analysis with rates, charts, and price prediction. Learn about Florin (FLO), its technology and potential. Complete Verium (VRM) analysis with rates, charts, and price prediction. Learn about Verium (VRM), its technology and potential. 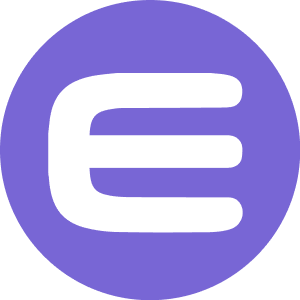 Complete Enjin Coin (ENJ) analysis with rates, charts, and price prediction. Learn about Enjin Coin (ENJ), its technology and potential. Complete Gifto (GTO) analysis with rates, charts, and price prediction. Learn about Gifto (GTO), its technology and potential. 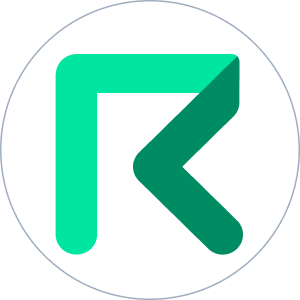 Complete Ripio Credit Network (RCN) analysis with rates, charts, and price prediction. Learn about Ripio Credit Network (RCN), its technology and potential. Complete Blox (CDT) analysis with rates, charts, and price prediction. Learn about Blox (CDT), its technology and potential. Complete Waltonchain (WTC) analysis with rates, charts, and price prediction. Learn about Waltonchain (WTC), its technology and potential. Complete Crown (CRW) analysis with rates, charts, and price prediction. Learn about Crown (CRW), its technology and potential. Complete VIBE (VIBE) analysis with rates, charts, and price prediction. Learn about VIBE (VIBE), its technology and potential. Complete Ardor (ARDR) analysis with rates, charts, and price prediction. Learn about Ardor (ARDR), its technology and potential. Complete DAOstack (GEN) analysis with rates, charts, and price prediction. Learn about DAOstack (GEN), its technology and potential. Complete AppCoins (APPC) analysis with rates, charts, and price prediction. Learn about AppCoins (APPC), its technology and potential. Complete Expanse (EXP) analysis with rates, charts, and price prediction. Learn about Expanse (EXP), its technology and potential. Complete Time New Bank (TNB) analysis with rates, charts, and price prediction. Learn about Time New Bank (TNB), its technology and potential. Complete Bread (BRD) analysis with rates, charts, and price prediction. Learn about Bread (BRD), its technology and potential. Complete Loopring (LRC) analysis with rates, charts, and price prediction. Learn about Loopring (LRC), its technology and potential. Complete Aeron (ARN) analysis with rates, charts, and price prediction. Learn about Aeron (ARN), its technology and potential. Complete Golos Gold (GBG) analysis with rates, charts, and price prediction. Learn about Golos Gold (GBG), its technology and potential. Complete ETHLend (LEND) analysis with rates, charts, and price prediction. Learn about ETHLend (LEND), its technology and potential. Complete Byteball (GBYTE) analysis with rates, charts, and price prediction. Learn about Byteball (GBYTE), its technology and potential. Complete Etherparty (FUEL) analysis with rates, charts, and price prediction. Learn about Etherparty (FUEL), its technology and potential. Complete Golos (GOLOS) analysis with rates, charts, and price prediction. Learn about Golos (GOLOS), its technology and potential. Complete Raiden Network Token (RDN) analysis with rates, charts, and price prediction. Learn about Raiden Network Token (RDN), its technology and potential. Complete Request Network (REQ) analysis with rates, charts, and price prediction. Learn about Request Network (REQ), its technology and potential. Complete Agrello (DLT) analysis with rates, charts, and price prediction. Learn about Agrello (DLT), its technology and potential. Complete ChainLink (LINK) analysis with rates, charts, and price prediction. Learn about ChainLink (LINK), its technology and potential. Complete LoMoCoin (LMC) analysis with rates, charts, and price prediction. Learn about LoMoCoin (LMC), its technology and potential. Complete Enigma (ENG) analysis with rates, charts, and price prediction. Learn about Enigma (ENG), its technology and potential. Complete Monero (XMR) analysis with rates, charts, and price prediction. Learn about Monero (XMR), its technology and potential. Complete LIFE (LIFE) analysis with rates, charts, and price prediction. Learn about LIFE (LIFE), its technology and potential. Complete ColossusXT (COLX) analysis with rates, charts, and price prediction. Learn about ColossusXT (COLX), its technology and potential. Complete Elastos (ELA) analysis with rates, charts, and price prediction. Learn about Elastos (ELA), its technology and potential. Complete Power Ledger (POWR) analysis with rates, charts, and price prediction. Learn about Power Ledger (POWR), its technology and potential. Complete Einsteinium (EMC2) analysis with rates, charts, and price prediction. Learn about Einsteinium (EMC2), its technology and potential. Complete Particl (PART) analysis with rates, charts, and price prediction. Learn about Particl (PART), its technology and potential. Complete Auroracoin (AUR) analysis with rates, charts, and price prediction. Learn about Auroracoin (AUR), its technology and potential. Complete CannabisCoin (CANN) analysis with rates, charts, and price prediction. Learn about CannabisCoin (CANN), its technology and potential. Complete Bankex (BKX) analysis with rates, charts, and price prediction. Learn about Bankex (BKX), its technology and potential. Complete Consensus (SEN) analysis with rates, charts, and price prediction. Learn about Consensus (SEN), its technology and potential. Complete Diamond (DMD) analysis with rates, charts, and price prediction. Learn about Diamond (DMD), its technology and potential. Complete Endor Protocol Token (EDR) analysis with rates, charts, and price prediction. Learn about Endor Protocol Token (EDR), its technology and potential. Complete GoldCoin (GLD) analysis with rates, charts, and price prediction. Learn about GoldCoin (GLD), its technology and potential. Complete Groestlcoin (GRS) analysis with rates, charts, and price prediction. Learn about Groestlcoin (GRS), its technology and potential. Complete ION (ION) analysis with rates, charts, and price prediction. Learn about ION (ION), its technology and potential. Complete Kore (KORE) analysis with rates, charts, and price prediction. Learn about Kore (KORE), its technology and potential. Complete MonetaryUnit (MUE) analysis with rates, charts, and price prediction. 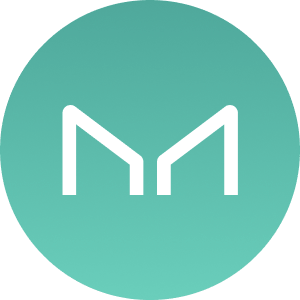 Learn about MonetaryUnit (MUE), its technology and potential. Complete NeosCoin (NEOS) analysis with rates, charts, and price prediction. Learn about NeosCoin (NEOS), its technology and potential. Complete Pesetacoin (PTC) analysis with rates, charts, and price prediction. Learn about Pesetacoin (PTC), its technology and potential. Complete SolarCoin (SLR) analysis with rates, charts, and price prediction. Learn about SolarCoin (SLR), its technology and potential. Complete TransferCoin (TX) analysis with rates, charts, and price prediction. Learn about TransferCoin (TX), its technology and potential. Complete Skycoin (SKY) analysis with rates, charts, and price prediction. Learn about Skycoin (SKY), its technology and potential. Complete Cindicator (CND) analysis with rates, charts, and price prediction. Learn about Cindicator (CND), its technology and potential. Complete INS Ecosystem (INS) analysis with rates, charts, and price prediction. Learn about INS Ecosystem (INS), its technology and potential. Complete Viberate (VIB) analysis with rates, charts, and price prediction. Learn about Viberate (VIB), its technology and potential. Complete Tierion (TNT) analysis with rates, charts, and price prediction. Learn about Tierion (TNT), its technology and potential. Complete Quantstamp (QSP) analysis with rates, charts, and price prediction. Learn about Quantstamp (QSP), its technology and potential. Complete WaBi (WABI) analysis with rates, charts, and price prediction. Learn about WaBi (WABI), its technology and potential. Complete Everex (EVX) analysis with rates, charts, and price prediction. Learn about Everex (EVX), its technology and potential. Complete Aion (AION) analysis with rates, charts, and price prediction. Learn about Aion (AION), its technology and potential. Complete Simple Token (OST) analysis with rates, charts, and price prediction. Learn about Simple Token (OST), its technology and potential. Complete Populous (PPT) analysis with rates, charts, and price prediction. Learn about Populous (PPT), its technology and potential. Complete Genesis Vision (GVT) analysis with rates, charts, and price prediction. Learn about Genesis Vision (GVT), its technology and potential. Complete Monetha (MTH) analysis with rates, charts, and price prediction. Learn about Monetha (MTH), its technology and potential. Complete Po.et (POE) analysis with rates, charts, and price prediction. Learn about Po.et (POE), its technology and potential. Complete LockTrip (LOC) analysis with rates, charts, and price prediction. Learn about LockTrip (LOC), its technology and potential. Complete SONM (SNM) analysis with rates, charts, and price prediction. Learn about SONM (SNM), its technology and potential. Complete Patientory (PTOY) analysis with rates, charts, and price prediction. Learn about Patientory (PTOY), its technology and potential. Complete Quantum Resistant Ledger (QRL) analysis with rates, charts, and price prediction. Learn about Quantum Resistant Ledger (QRL), its technology and potential. 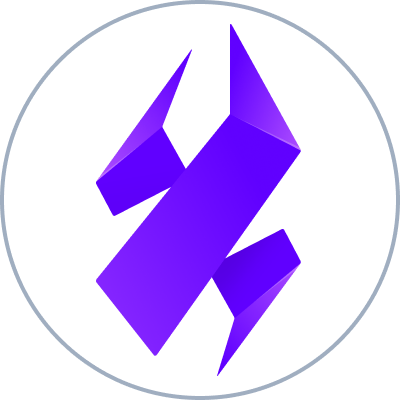 Complete AirSwap (AST) analysis with rates, charts, and price prediction. Learn about AirSwap (AST), its technology and potential. Complete Ambrosus (AMB) analysis with rates, charts, and price prediction. Learn about Ambrosus (AMB), its technology and potential. Complete Blocktix (TIX) analysis with rates, charts, and price prediction. Learn about Blocktix (TIX), its technology and potential. Complete Eidoo (EDO) analysis with rates, charts, and price prediction. Learn about Eidoo (EDO), its technology and potential. Complete OAX (OAX) analysis with rates, charts, and price prediction. Learn about OAX (OAX), its technology and potential. Complete Nexium (NXC) analysis with rates, charts, and price prediction. Learn about Nexium (NXC), its technology and potential. Complete Universal Currency (UNIT) analysis with rates, charts, and price prediction. Learn about Universal Currency (UNIT), its technology and potential. Complete Musicoin (MUSIC) analysis with rates, charts, and price prediction. Learn about Musicoin (MUSIC), its technology and potential. Complete ArtByte (ABY) analysis with rates, charts, and price prediction. Learn about ArtByte (ABY), its technology and potential. Complete Mercury (MER) analysis with rates, charts, and price prediction. Learn about Mercury (MER), its technology and potential. Complete HempCoin (THC) analysis with rates, charts, and price prediction. Learn about HempCoin (THC), its technology and potential. Complete GeoCoin (GEO) analysis with rates, charts, and price prediction. Learn about GeoCoin (GEO), its technology and potential. 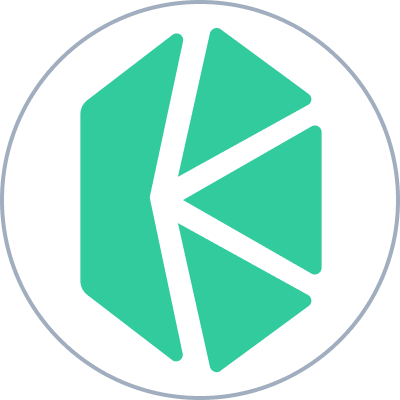 Complete Kyber Network (KNC) analysis with rates, charts, and price prediction. Learn about Kyber Network (KNC), its technology and potential. Complete Bitcrystals (BCY) analysis with rates, charts, and price prediction. Learn about Bitcrystals (BCY), its technology and potential. Complete Sphere (SPHR) analysis with rates, charts, and price prediction. Learn about Sphere (SPHR), its technology and potential. Complete ZClassic (ZCL) analysis with rates, charts, and price prediction. Learn about ZClassic (ZCL), its technology and potential. Complete Databits (DTB) analysis with rates, charts, and price prediction. Learn about Databits (DTB), its technology and potential. Complete Curecoin (CURE) analysis with rates, charts, and price prediction. Learn about Curecoin (CURE), its technology and potential. Complete FoldingCoin (FLDC) analysis with rates, charts, and price prediction. Learn about FoldingCoin (FLDC), its technology and potential. Complete Incent (INCNT) analysis with rates, charts, and price prediction. Learn about Incent (INCNT), its technology and potential. Complete BlockMason Credit Protocol (BCPT) analysis with rates, charts, and price prediction. Learn about BlockMason Credit Protocol (BCPT), its technology and potential. Complete Shift (SHIFT) analysis with rates, charts, and price prediction. Learn about Shift (SHIFT), its technology and potential. Complete Blocknet (BLOCK) analysis with rates, charts, and price prediction. Learn about Blocknet (BLOCK), its technology and potential. Complete Synereo (AMP) analysis with rates, charts, and price prediction. Learn about Synereo (AMP), its technology and potential. Complete Omni (OMNI) analysis with rates, charts, and price prediction. Learn about Omni (OMNI), its technology and potential. Complete adToken (ADT) analysis with rates, charts, and price prediction. Learn about adToken (ADT), its technology and potential. Complete Unikoin Gold (UKG) analysis with rates, charts, and price prediction. Learn about Unikoin Gold (UKG), its technology and potential. Complete Nuls (NULS) analysis with rates, charts, and price prediction. Learn about Nuls (NULS), its technology and potential. Complete Circuits of Value (COVAL) analysis with rates, charts, and price prediction. Learn about Circuits of Value (COVAL), its technology and potential. Complete FairCoin (FAIR) analysis with rates, charts, and price prediction. Learn about FairCoin (FAIR), its technology and potential. Complete Dynamic (DYN) analysis with rates, charts, and price prediction. Learn about Dynamic (DYN), its technology and potential. Complete Breakout (BRK) analysis with rates, charts, and price prediction. Learn about Breakout (BRK), its technology and potential. Complete Memetic-PepeCoin (MEME) analysis with rates, charts, and price prediction. Learn about Memetic-PepeCoin (MEME), its technology and potential. Complete SoonCoin (SOON) analysis with rates, charts, and price prediction. Learn about SoonCoin (SOON), its technology and potential. Complete Breakout Stake (BRX) analysis with rates, charts, and price prediction. Learn about Breakout Stake (BRX), its technology and potential. Complete 2GIVE (2GIVE) analysis with rates, charts, and price prediction. Learn about 2GIVE (2GIVE), its technology and potential. Complete Swing (SWING) analysis with rates, charts, and price prediction. Learn about Swing (SWING), its technology and potential. Complete EverGreenCoin (EGC) analysis with rates, charts, and price prediction. Learn about EverGreenCoin (EGC), its technology and potential. Complete Ethos (ETHOS) analysis with rates, charts, and price prediction. Learn about Ethos (ETHOS), its technology and potential. Complete GXChain (GXS) analysis with rates, charts, and price prediction. Learn about GXChain (GXS), its technology and potential. Complete Phore (PHR) analysis with rates, charts, and price prediction. 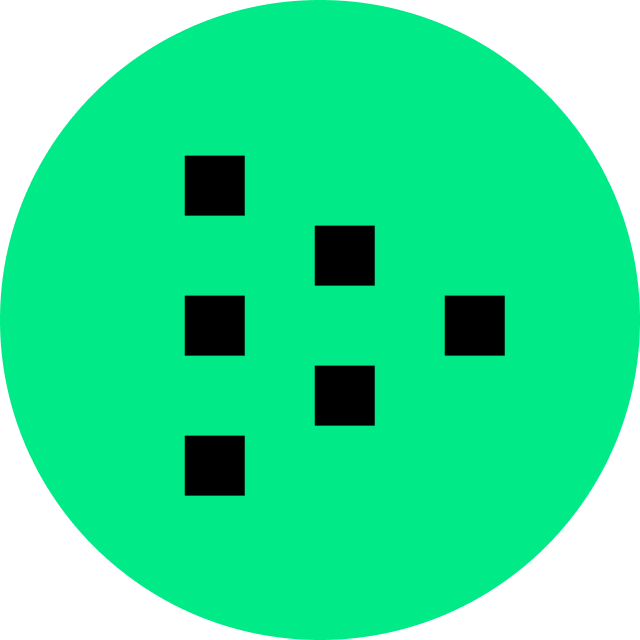 Learn about Phore (PHR), its technology and potential. Complete Nano (NANO) analysis with rates, charts, and price prediction. Learn about Nano (NANO), its technology and potential. Complete Red Pulse Phoenix (PHX) analysis with rates, charts, and price prediction. Learn about Red Pulse Phoenix (PHX), its technology and potential. Complete Aeternity (AE) analysis with rates, charts, and price prediction. Learn about Aeternity (AE), its technology and potential. Complete WAX (WAX) analysis with rates, charts, and price prediction. Learn about WAX (WAX), its technology and potential. Complete True USD (TUSD) analysis with rates, charts, and price prediction. Learn about True USD (TUSD), its technology and potential. Complete SIRIN LABS Token (SRN) analysis with rates, charts, and price prediction. Learn about SIRIN LABS Token (SRN), its technology and potential. Complete BLOCKv (VEE) analysis with rates, charts, and price prediction. Learn about BLOCKv (VEE), its technology and potential. Complete ChatCoin (CHAT) analysis with rates, charts, and price prediction. Learn about ChatCoin (CHAT), its technology and potential. Complete Nucleus Vision (NCASH) analysis with rates, charts, and price prediction. Learn about Nucleus Vision (NCASH), its technology and potential. Complete Bluzelle (BLZ) analysis with rates, charts, and price prediction. Learn about Bluzelle (BLZ), its technology and potential. Complete KickCoin (KICK) analysis with rates, charts, and price prediction. Learn about KickCoin (KICK), its technology and potential. Complete Solaris (XLR) analysis with rates, charts, and price prediction. Learn about Solaris (XLR), its technology and potential. Complete Experty (EXY) analysis with rates, charts, and price prediction. Learn about Experty (EXY), its technology and potential. Complete Dragonchain (DRGN) analysis with rates, charts, and price prediction. Learn about Dragonchain (DRGN), its technology and potential. Complete IHT Real Estate Protocol (IHT) analysis with rates, charts, and price prediction. Learn about IHT Real Estate Protocol (IHT), its technology and potential. Complete CoinFi (COFI) analysis with rates, charts, and price prediction. Learn about CoinFi (COFI), its technology and potential. Complete DeepBrain Chain (DBC) analysis with rates, charts, and price prediction. Learn about DeepBrain Chain (DBC), its technology and potential. Complete CanYaCoin (CAN) analysis with rates, charts, and price prediction. Learn about CanYaCoin (CAN), its technology and potential. Complete Debitum (DEB) analysis with rates, charts, and price prediction. Learn about Debitum (DEB), its technology and potential. Complete LATOKEN (LA) analysis with rates, charts, and price prediction. Learn about LATOKEN (LA), its technology and potential. Complete IoT Chain (ITC) analysis with rates, charts, and price prediction. Learn about IoT Chain (ITC), its technology and potential. Complete UTRUST (UTK) analysis with rates, charts, and price prediction. Learn about UTRUST (UTK), its technology and potential. Complete Fortuna (FOTA) analysis with rates, charts, and price prediction. Learn about Fortuna (FOTA), its technology and potential. Complete Gladius Token (GLA) analysis with rates, charts, and price prediction. Learn about Gladius Token (GLA), its technology and potential. Complete Odyssey (OCN) analysis with rates, charts, and price prediction. Learn about Odyssey (OCN), its technology and potential. Complete Blockport (BPT) analysis with rates, charts, and price prediction. Learn about Blockport (BPT), its technology and potential. Complete carVertical (CV) analysis with rates, charts, and price prediction. Learn about carVertical (CV), its technology and potential. Complete Change (CAG) analysis with rates, charts, and price prediction. Learn about Change (CAG), its technology and potential. Complete Alphacat (ACAT) analysis with rates, charts, and price prediction. Learn about Alphacat (ACAT), its technology and potential. Complete Bytom (BTM) analysis with rates, charts, and price prediction. Learn about Bytom (BTM), its technology and potential. Complete Elixir (ELIX) analysis with rates, charts, and price prediction. Learn about Elixir (ELIX), its technology and potential. Complete JET8 (J8T) analysis with rates, charts, and price prediction. Learn about JET8 (J8T), its technology and potential. 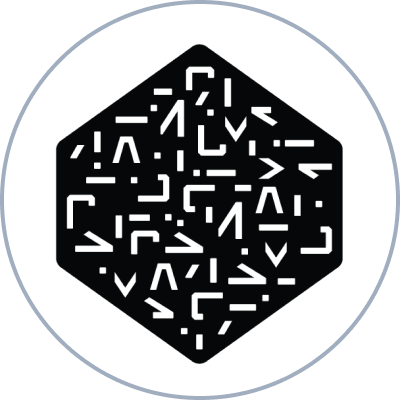 Complete SingularityNET (AGI) analysis with rates, charts, and price prediction. Learn about SingularityNET (AGI), its technology and potential. Complete Revain (R) analysis with rates, charts, and price prediction. Learn about Revain (R), its technology and potential. Complete CargoX (CXO) analysis with rates, charts, and price prediction. Learn about CargoX (CXO), its technology and potential. Complete CoinMeet (MEET) analysis with rates, charts, and price prediction. Learn about CoinMeet (MEET), its technology and potential. Complete Decision Token (HST) analysis with rates, charts, and price prediction. Learn about Decision Token (HST), its technology and potential. Complete QLINK (QLC) analysis with rates, charts, and price prediction. Learn about QLINK (QLC), its technology and potential. Complete Trinity Network Credit (TNC) analysis with rates, charts, and price prediction. Learn about Trinity Network Credit (TNC), its technology and potential. Complete Datum (DAT) analysis with rates, charts, and price prediction. Learn about Datum (DAT), its technology and potential. Complete ClearPoll (POLL) analysis with rates, charts, and price prediction. Learn about ClearPoll (POLL), its technology and potential. Complete DADI (DADI) analysis with rates, charts, and price prediction. Learn about DADI (DADI), its technology and potential. Complete Block Array (ARY) analysis with rates, charts, and price prediction. Learn about Block Array (ARY), its technology and potential. Complete Electrify.Asia (ELEC) analysis with rates, charts, and price prediction. Learn about Electrify.Asia (ELEC), its technology and potential. Complete Telcoin (TEL) analysis with rates, charts, and price prediction. Learn about Telcoin (TEL), its technology and potential. 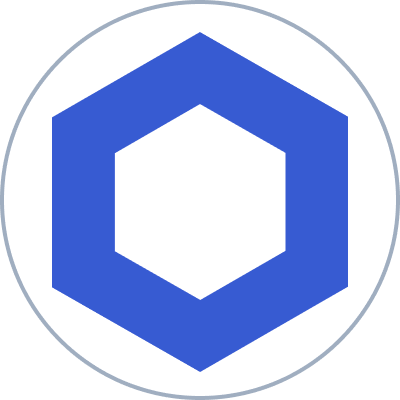 Complete KuCoin Shares (KCS) analysis with rates, charts, and price prediction. Learn about KuCoin Shares (KCS), its technology and potential. Complete Covesting (COV) analysis with rates, charts, and price prediction. Learn about Covesting (COV), its technology and potential. Complete SunContract (SNC) analysis with rates, charts, and price prediction. Learn about SunContract (SNC), its technology and potential. Complete BOScoin (BOS) analysis with rates, charts, and price prediction. Learn about BOScoin (BOS), its technology and potential. Complete Credits (CS) analysis with rates, charts, and price prediction. Learn about Credits (CS), its technology and potential. Complete Pura (PURA) analysis with rates, charts, and price prediction. Learn about Pura (PURA), its technology and potential. Complete Loom Network (LOOM) analysis with rates, charts, and price prediction. Learn about Loom Network (LOOM), its technology and potential. Complete Pareto Network (PARETO) analysis with rates, charts, and price prediction. Learn about Pareto Network (PARETO), its technology and potential. Complete Jibrel (JNT) analysis with rates, charts, and price prediction. Learn about Jibrel (JNT), its technology and potential. Complete TrueFlip (TFL) analysis with rates, charts, and price prediction. Learn about TrueFlip (TFL), its technology and potential. 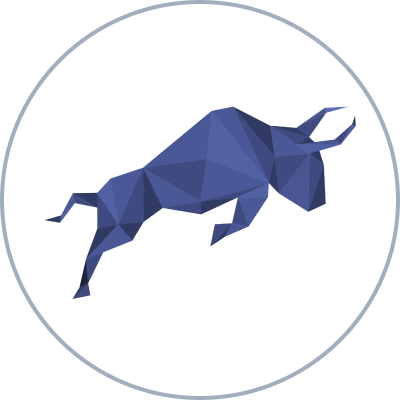 Complete Polymath (POLY) analysis with rates, charts, and price prediction. 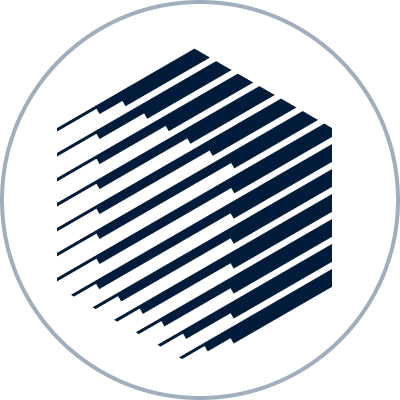 Learn about Polymath (POLY), its technology and potential. Complete STK (STK) analysis with rates, charts, and price prediction. Learn about STK (STK), its technology and potential. Complete Medicalchain (MTN) analysis with rates, charts, and price prediction. Learn about Medicalchain (MTN), its technology and potential. Complete Selfkey (KEY) analysis with rates, charts, and price prediction. Learn about Selfkey (KEY), its technology and potential. Complete Zeepin (ZPT) analysis with rates, charts, and price prediction. Learn about Zeepin (ZPT), its technology and potential. Complete RChain (RHOC) analysis with rates, charts, and price prediction. Learn about RChain (RHOC), its technology and potential. Complete DATA (DTA) analysis with rates, charts, and price prediction. Learn about DATA (DTA), its technology and potential. Complete THEKEY (TKY) analysis with rates, charts, and price prediction. Learn about THEKEY (TKY), its technology and potential. Complete Dent (DENT) analysis with rates, charts, and price prediction. Learn about Dent (DENT), its technology and potential. Complete DeepOnion (ONION) analysis with rates, charts, and price prediction. Learn about DeepOnion (ONION), its technology and potential. Complete NAGA (NGC) analysis with rates, charts, and price prediction. Learn about NAGA (NGC), its technology and potential. Complete Stox (STX) analysis with rates, charts, and price prediction. Learn about Stox (STX), its technology and potential. Complete Dentacoin (DCN) analysis with rates, charts, and price prediction. Learn about Dentacoin (DCN), its technology and potential. Complete Moeda Loyalty Points (MDA) analysis with rates, charts, and price prediction. Learn about Moeda Loyalty Points (MDA), its technology and potential. Complete Storm (STORM) analysis with rates, charts, and price prediction. Learn about Storm (STORM), its technology and potential. Complete POA Network (POA) analysis with rates, charts, and price prediction. Learn about POA Network (POA), its technology and potential. Complete WePower (WPR) analysis with rates, charts, and price prediction. Learn about WePower (WPR), its technology and potential. Complete Wanchain (WAN) analysis with rates, charts, and price prediction. Learn about Wanchain (WAN), its technology and potential. Complete UpToken (UP) analysis with rates, charts, and price prediction. Learn about UpToken (UP), its technology and potential. Complete aXpire (AXPR) analysis with rates, charts, and price prediction. Learn about aXpire (AXPR), its technology and potential. Complete HEROcoin (PLAY) analysis with rates, charts, and price prediction. Learn about HEROcoin (PLAY), its technology and potential. Complete Noah Coin (NOAH) analysis with rates, charts, and price prediction. Learn about Noah Coin (NOAH), its technology and potential. Complete Monero Original (XMO) analysis with rates, charts, and price prediction. Learn about Monero Original (XMO), its technology and potential. Complete Binance Coin ERC20 (BNBERC20) analysis with rates, charts, and price prediction. Learn about Binance Coin ERC20 (BNBERC20), its technology and potential. Complete GoByte (GBX) analysis with rates, charts, and price prediction. Learn about GoByte (GBX), its technology and potential. Complete Aurora DAO (AURA) analysis with rates, charts, and price prediction. Learn about Aurora DAO (AURA), its technology and potential. Complete Mithril (MITH) analysis with rates, charts, and price prediction. Learn about Mithril (MITH), its technology and potential. Complete Darico Ecosystem Coin (DEC) analysis with rates, charts, and price prediction. Learn about Darico Ecosystem Coin (DEC), its technology and potential. Complete XYO Network (XYO) analysis with rates, charts, and price prediction. Learn about XYO Network (XYO), its technology and potential. Complete LuckCash (LCK) analysis with rates, charts, and price prediction. Learn about LuckCash (LCK), its technology and potential. Complete V-ID (VIDT) analysis with rates, charts, and price prediction. Learn about V-ID (VIDT), its technology and potential. Complete WHEN Token (WHEN) analysis with rates, charts, and price prediction. Learn about WHEN Token (WHEN), its technology and potential. Complete Morpheus Labs (MITX) analysis with rates, charts, and price prediction. Learn about Morpheus Labs (MITX), its technology and potential. Complete Cajutel (CAJ) analysis with rates, charts, and price prediction. Learn about Cajutel (CAJ), its technology and potential. Complete CustomContractNetwork (CCN) analysis with rates, charts, and price prediction. Learn about CustomContractNetwork (CCN), its technology and potential. Complete Atomic Wallet Coin (AWC) analysis with rates, charts, and price prediction. Learn about Atomic Wallet Coin (AWC), its technology and potential. Complete ZEON (ZEON) analysis with rates, charts, and price prediction. Learn about ZEON (ZEON), its technology and potential. Complete Robotina (ROX) analysis with rates, charts, and price prediction. Learn about Robotina (ROX), its technology and potential. Complete Hxro (HXRO) analysis with rates, charts, and price prediction. Learn about Hxro (HXRO), its technology and potential. Complete PlayChip (PLA) analysis with rates, charts, and price prediction. Learn about PlayChip (PLA), its technology and potential. Complete Lition (LIT) analysis with rates, charts, and price prediction. Learn about Lition (LIT), its technology and potential. Complete Rivetz (RVT) analysis with rates, charts, and price prediction. Learn about Rivetz (RVT), its technology and potential. Complete NaPoleonX (NPX) analysis with rates, charts, and price prediction. Learn about NaPoleonX (NPX), its technology and potential. Complete IDEX Membership (IDXM) analysis with rates, charts, and price prediction. Learn about IDEX Membership (IDXM), its technology and potential. Complete Unification (UND) analysis with rates, charts, and price prediction. Learn about Unification (UND), its technology and potential. Complete Lamden (TAU) analysis with rates, charts, and price prediction. Learn about Lamden (TAU), its technology and potential. Complete Livepeer (LPT) analysis with rates, charts, and price prediction. Learn about Livepeer (LPT), its technology and potential. Complete Celsius (CEL) analysis with rates, charts, and price prediction. Learn about Celsius (CEL), its technology and potential. Complete Unibright (UBT) analysis with rates, charts, and price prediction. Learn about Unibright (UBT), its technology and potential. Complete Flexacoin (FXC) analysis with rates, charts, and price prediction. Learn about Flexacoin (FXC), its technology and potential. Complete Next.exchange (NEXT) analysis with rates, charts, and price prediction. Learn about Next.exchange (NEXT), its technology and potential. Complete Brainmab (BRN) analysis with rates, charts, and price prediction. Learn about Brainmab (BRN), its technology and potential. Complete ProCurrency (PROC) analysis with rates, charts, and price prediction. Learn about ProCurrency (PROC), its technology and potential. Complete Nimiq (NIM) analysis with rates, charts, and price prediction. Learn about Nimiq (NIM), its technology and potential. Complete Digitex Futures (DGTX) analysis with rates, charts, and price prediction. Learn about Digitex Futures (DGTX), its technology and potential. Complete PumaPay (PMA) analysis with rates, charts, and price prediction. Learn about PumaPay (PMA), its technology and potential. Complete Aergo (AERGO) analysis with rates, charts, and price prediction. Learn about Aergo (AERGO), its technology and potential. Complete Maker (MKR) analysis with rates, charts, and price prediction. Learn about Maker (MKR), its technology and potential. Complete Republic Protocol (REN) analysis with rates, charts, and price prediction. Learn about Republic Protocol (REN), its technology and potential. Complete Kambria (KAT) analysis with rates, charts, and price prediction. Learn about Kambria (KAT), its technology and potential. Complete BitTorrent (BTT) analysis with rates, charts, and price prediction. Learn about BitTorrent (BTT), its technology and potential. Complete VisionX (VNX) analysis with rates, charts, and price prediction. Learn about VisionX (VNX), its technology and potential. Complete Zap (ZAP) analysis with rates, charts, and price prediction. Learn about Zap (ZAP), its technology and potential. Complete SkinCoin (SKIN) analysis with rates, charts, and price prediction. Learn about SkinCoin (SKIN), its technology and potential. Complete Nexo (NEXO) analysis with rates, charts, and price prediction. Learn about Nexo (NEXO), its technology and potential. Complete The Abyss (ABYSS) analysis with rates, charts, and price prediction. Learn about The Abyss (ABYSS), its technology and potential. Complete BetterBetting (BETR) analysis with rates, charts, and price prediction. Learn about BetterBetting (BETR), its technology and potential. Complete SoMee.Social (ONG) analysis with rates, charts, and price prediction. Learn about SoMee.Social (ONG), its technology and potential. Complete Holo (HOT) analysis with rates, charts, and price prediction. Learn about Holo (HOT), its technology and potential. Complete QuarkChain (QKC) analysis with rates, charts, and price prediction. Learn about QuarkChain (QKC), its technology and potential. Complete Bitcoin Cash ABC (BCHABC) analysis with rates, charts, and price prediction. Learn about Bitcoin Cash ABC (BCHABC), its technology and potential. Complete Bitcoin Cash SV (BCHSV) analysis with rates, charts, and price prediction. Learn about Bitcoin Cash SV (BCHSV), its technology and potential. Complete ContentBox (BOX) analysis with rates, charts, and price prediction. Learn about ContentBox (BOX), its technology and potential. Complete InvestDigital (IDT) analysis with rates, charts, and price prediction. Learn about InvestDigital (IDT), its technology and potential. Complete Bibox Token (BIX) analysis with rates, charts, and price prediction. Learn about Bibox Token (BIX), its technology and potential. Complete BitUP Token (BUT) analysis with rates, charts, and price prediction. Learn about BitUP Token (BUT), its technology and potential. Complete Dock (DOCK) analysis with rates, charts, and price prediction. Learn about Dock (DOCK), its technology and potential. Complete Lambda (LAMB) analysis with rates, charts, and price prediction. Learn about Lambda (LAMB), its technology and potential. Complete Huobi Pool Token (HPT) analysis with rates, charts, and price prediction. Learn about Huobi Pool Token (HPT), its technology and potential. Complete LinkEye (LET) analysis with rates, charts, and price prediction. Learn about LinkEye (LET), its technology and potential. Complete Engine (EGCC) analysis with rates, charts, and price prediction. Learn about Engine (EGCC), its technology and potential. Complete Cred (LBA) analysis with rates, charts, and price prediction. Learn about Cred (LBA), its technology and potential. Complete Themis (GET) analysis with rates, charts, and price prediction. Learn about Themis (GET), its technology and potential. Complete Kcash (KCASH) analysis with rates, charts, and price prediction. Learn about Kcash (KCASH), its technology and potential. Complete MEX (MEX) analysis with rates, charts, and price prediction. Learn about MEX (MEX), its technology and potential. Complete BnkToTheFuture (BFT) analysis with rates, charts, and price prediction. Learn about BnkToTheFuture (BFT), its technology and potential. Complete Matryx (MTX) analysis with rates, charts, and price prediction. Learn about Matryx (MTX), its technology and potential. Complete HitChain (HIT) analysis with rates, charts, and price prediction. Learn about HitChain (HIT), its technology and potential. Complete Penta (PNT) analysis with rates, charts, and price prediction. Learn about Penta (PNT), its technology and potential. Complete EduCoin (EDU) analysis with rates, charts, and price prediction. Learn about EduCoin (EDU), its technology and potential. Complete EDUCare (EKT) analysis with rates, charts, and price prediction. Learn about EDUCare (EKT), its technology and potential. Complete FansTime (FTI) analysis with rates, charts, and price prediction. Learn about FansTime (FTI), its technology and potential. Complete Intelligent Investment Chain (IIC) analysis with rates, charts, and price prediction. Learn about Intelligent Investment Chain (IIC), its technology and potential. Complete Promotion Coin (PC) analysis with rates, charts, and price prediction. Learn about Promotion Coin (PC), its technology and potential. Complete COVA (COVA) analysis with rates, charts, and price prediction. Learn about COVA (COVA), its technology and potential. Complete MyToken (MT) analysis with rates, charts, and price prediction. Learn about MyToken (MT), its technology and potential. Complete NeuroChain (NCC) analysis with rates, charts, and price prediction. Learn about NeuroChain (NCC), its technology and potential. Complete Global Social Chain (GSC) analysis with rates, charts, and price prediction. Learn about Global Social Chain (GSC), its technology and potential. Complete Cortex (CTXC) analysis with rates, charts, and price prediction. Learn about Cortex (CTXC), its technology and potential. Complete Machine Xchange Coin (MXC) analysis with rates, charts, and price prediction. Learn about Machine Xchange Coin (MXC), its technology and potential. Complete BeeKan (BKBT) analysis with rates, charts, and price prediction. Learn about BeeKan (BKBT), its technology and potential. Complete Content Value Network (CVNT) analysis with rates, charts, and price prediction. Learn about Content Value Network (CVNT), its technology and potential. Complete Litex (LXT) analysis with rates, charts, and price prediction. Learn about Litex (LXT), its technology and potential. Complete LTO Network (LTO) analysis with rates, charts, and price prediction. Learn about LTO Network (LTO), its technology and potential. Complete Propy (PROPY) analysis with rates, charts, and price prediction. Learn about Propy (PROPY), its technology and potential. Complete Davinci Coin (DAC) analysis with rates, charts, and price prediction. Learn about Davinci Coin (DAC), its technology and potential. Complete Game.com (GTC) analysis with rates, charts, and price prediction. Learn about Game.com (GTC), its technology and potential. Complete BitKan (KAN) analysis with rates, charts, and price prediction. Learn about BitKan (KAN), its technology and potential. Complete EchoLink (EKO) analysis with rates, charts, and price prediction. Learn about EchoLink (EKO), its technology and potential. Complete Genaro Network (GNX) analysis with rates, charts, and price prediction. Learn about Genaro Network (GNX), its technology and potential. Complete STASIS EURS (EURS) analysis with rates, charts, and price prediction. Learn about STASIS EURS (EURS), its technology and potential. Complete Streamr DATAcoin (DATA) analysis with rates, charts, and price prediction. Learn about Streamr DATAcoin (DATA), its technology and potential. Complete AidCoin (AID) analysis with rates, charts, and price prediction. Learn about AidCoin (AID), its technology and potential. Complete Mainframe (MFT) analysis with rates, charts, and price prediction. Learn about Mainframe (MFT), its technology and potential. Complete Nebulas (NAS) analysis with rates, charts, and price prediction. Learn about Nebulas (NAS), its technology and potential. Complete CashBet Coin (CBC) analysis with rates, charts, and price prediction. Learn about CashBet Coin (CBC), its technology and potential. Complete Crowd Machine (CMCT) analysis with rates, charts, and price prediction. Learn about Crowd Machine (CMCT), its technology and potential. Complete Modum (MOD) analysis with rates, charts, and price prediction. Learn about Modum (MOD), its technology and potential. Complete Refereum (RFR) analysis with rates, charts, and price prediction. Learn about Refereum (RFR), its technology and potential. Complete Bloom (BLT) analysis with rates, charts, and price prediction. Learn about Bloom (BLT), its technology and potential. Complete Crypterium (CRPT) analysis with rates, charts, and price prediction. Learn about Crypterium (CRPT), its technology and potential. Complete Neurotoken (NTK) analysis with rates, charts, and price prediction. Learn about Neurotoken (NTK), its technology and potential. Complete Pundi X (NPXS) analysis with rates, charts, and price prediction. Learn about Pundi X (NPXS), its technology and potential. Complete StockChain (SCC) analysis with rates, charts, and price prediction. Learn about StockChain (SCC), its technology and potential. Complete DecentBet (DBET) analysis with rates, charts, and price prediction. Learn about DecentBet (DBET), its technology and potential. Complete HOQU (HQX) analysis with rates, charts, and price prediction. Learn about HOQU (HQX), its technology and potential. Complete Bitcoin Private (BTCP) analysis with rates, charts, and price prediction. Learn about Bitcoin Private (BTCP), its technology and potential. Complete Sentinel (SENT) analysis with rates, charts, and price prediction. Learn about Sentinel (SENT), its technology and potential. Complete Daneel (DAN) analysis with rates, charts, and price prediction. Learn about Daneel (DAN), its technology and potential. Complete Presearch (PRE) analysis with rates, charts, and price prediction. Learn about Presearch (PRE), its technology and potential. Complete Peculium (PCL) analysis with rates, charts, and price prediction. Learn about Peculium (PCL), its technology and potential. Complete Tezos (XTZ) analysis with rates, charts, and price prediction. Learn about Tezos (XTZ), its technology and potential. Complete Broker Neko Network (BNN) analysis with rates, charts, and price prediction. Learn about Broker Neko Network (BNN), its technology and potential. Complete Moneytoken (IMT) analysis with rates, charts, and price prediction. Learn about Moneytoken (IMT), its technology and potential. Complete PKG Token (PKG) analysis with rates, charts, and price prediction. Learn about PKG Token (PKG), its technology and potential. Complete Remme (REM) analysis with rates, charts, and price prediction. Learn about Remme (REM), its technology and potential. Complete Silent Notary (SNTR) analysis with rates, charts, and price prediction. Learn about Silent Notary (SNTR), its technology and potential. Complete Knoxstertoken (FKX) analysis with rates, charts, and price prediction. Learn about Knoxstertoken (FKX), its technology and potential. Complete DeltaChain (DELTA) analysis with rates, charts, and price prediction. Learn about DeltaChain (DELTA), its technology and potential. Complete CyberFM (CYFM) analysis with rates, charts, and price prediction. Learn about CyberFM (CYFM), its technology and potential. Complete 4NEW (KWATT) analysis with rates, charts, and price prediction. Learn about 4NEW (KWATT), its technology and potential. Complete Eden (EDN) analysis with rates, charts, and price prediction. Learn about Eden (EDN), its technology and potential. Complete Patron (PAT) analysis with rates, charts, and price prediction. Learn about Patron (PAT), its technology and potential. Complete Constellation (DAG) analysis with rates, charts, and price prediction. Learn about Constellation (DAG), its technology and potential. Complete BlitzPredict (XBP) analysis with rates, charts, and price prediction. Learn about BlitzPredict (XBP), its technology and potential. Complete VikkyToken (VIKKY) analysis with rates, charts, and price prediction. Learn about VikkyToken (VIKKY), its technology and potential. Complete Ignis (IGNIS) analysis with rates, charts, and price prediction. Learn about Ignis (IGNIS), its technology and potential. Complete ShowHand (HAND) analysis with rates, charts, and price prediction. Learn about ShowHand (HAND), its technology and potential. Complete USD Coin (USDC) analysis with rates, charts, and price prediction. Learn about USD Coin (USDC), its technology and potential. Complete Kin (KIN) analysis with rates, charts, and price prediction. Learn about Kin (KIN), its technology and potential. Complete Kin Mainnet (KIN_MAINNET) analysis with rates, charts, and price prediction. Learn about Kin Mainnet (KIN_MAINNET), its technology and potential. Complete Ubex (UBEX) analysis with rates, charts, and price prediction. Learn about Ubex (UBEX), its technology and potential. Complete Truegame (TGAME) analysis with rates, charts, and price prediction. Learn about Truegame (TGAME), its technology and potential. Complete FUTURAX (FTXT) analysis with rates, charts, and price prediction. Learn about FUTURAX (FTXT), its technology and potential. Complete GoChain (GO) analysis with rates, charts, and price prediction. Learn about GoChain (GO), its technology and potential. Complete Aurora (AOA) analysis with rates, charts, and price prediction. Learn about Aurora (AOA), its technology and potential. Complete Distributed Credit Chain (DCC) analysis with rates, charts, and price prediction. Learn about Distributed Credit Chain (DCC), its technology and potential. Complete Lympo (LYM) analysis with rates, charts, and price prediction. Learn about Lympo (LYM), its technology and potential. Complete TRAXIA (TMT) analysis with rates, charts, and price prediction. Learn about TRAXIA (TMT), its technology and potential. Complete OneLedger (OLT) analysis with rates, charts, and price prediction. Learn about OneLedger (OLT), its technology and potential. Complete Ravencoin (RVN) analysis with rates, charts, and price prediction. Learn about Ravencoin (RVN), its technology and potential. Complete Paxos Standard Token (PAX) analysis with rates, charts, and price prediction. Learn about Paxos Standard Token (PAX), its technology and potential. Complete Open Platform (OPEN) analysis with rates, charts, and price prediction. Learn about Open Platform (OPEN), its technology and potential. Complete Quant (QNT) analysis with rates, charts, and price prediction. Learn about Quant (QNT), its technology and potential. Complete Own (CHX) analysis with rates, charts, and price prediction. Learn about Own (CHX), its technology and potential. Complete Xenchain (XENC) analysis with rates, charts, and price prediction. Learn about Xenchain (XENC), its technology and potential. Complete AMO Coin (AMO) analysis with rates, charts, and price prediction. Learn about AMO Coin (AMO), its technology and potential. Complete GINcoin (GIN) analysis with rates, charts, and price prediction. Learn about GINcoin (GIN), its technology and potential. Complete Morpheus.Network (MRPH) analysis with rates, charts, and price prediction. Learn about Morpheus.Network (MRPH), its technology and potential. Complete Cosmo Coin (COSM) analysis with rates, charts, and price prediction. Learn about Cosmo Coin (COSM), its technology and potential. Complete Mass Vehicle Ledger (MVL) analysis with rates, charts, and price prediction. Learn about Mass Vehicle Ledger (MVL), its technology and potential. Complete ATLANT (ATL) analysis with rates, charts, and price prediction. Learn about ATLANT (ATL), its technology and potential. Complete Perfect Money (PM) analysis with rates, charts, and price prediction. Learn about Perfect Money (PM), its technology and potential. Complete Payeer (PAYEER) analysis with rates, charts, and price prediction. Learn about Payeer (PAYEER), its technology and potential. Complete BitShares (BTS) analysis with rates, charts, and price prediction. Learn about BitShares (BTS), its technology and potential. Complete Steem Dollars (SBD) analysis with rates, charts, and price prediction. Learn about Steem Dollars (SBD), its technology and potential. Complete Perfect Money Voucher (PMV) analysis with rates, charts, and price prediction. Learn about Perfect Money Voucher (PMV), its technology and potential. Complete AdvCash (ADVCASH) analysis with rates, charts, and price prediction. Learn about AdvCash (ADVCASH), its technology and potential. Complete DomRaider (DRT) analysis with rates, charts, and price prediction. Learn about DomRaider (DRT), its technology and potential. Complete Fusion (FSN) analysis with rates, charts, and price prediction. Learn about Fusion (FSN), its technology and potential. Complete Bitcoin Diamond (BCD) analysis with rates, charts, and price prediction. Learn about Bitcoin Diamond (BCD), its technology and potential. Complete Payfair (PFR) analysis with rates, charts, and price prediction. Learn about Payfair (PFR), its technology and potential. Complete Divi (DIVX) analysis with rates, charts, and price prediction. Learn about Divi (DIVX), its technology and potential. Complete Dai (DAI) analysis with rates, charts, and price prediction. Learn about Dai (DAI), its technology and potential. Complete LALA World (LALA) analysis with rates, charts, and price prediction. Learn about LALA World (LALA), its technology and potential. Complete Fetch.AI (FET) analysis with rates, charts, and price prediction. Learn about Fetch.AI (FET), its technology and potential. Complete MidasProtocol (MAS) analysis with rates, charts, and price prediction. Learn about MidasProtocol (MAS), its technology and potential. Complete Sharder (SS) analysis with rates, charts, and price prediction. Learn about Sharder (SS), its technology and potential. Complete Atonomi (ATMI) analysis with rates, charts, and price prediction. Learn about Atonomi (ATMI), its technology and potential. Complete Iconiq Lab Token (ICNQ) analysis with rates, charts, and price prediction. Learn about Iconiq Lab Token (ICNQ), its technology and potential. Complete TE-FOOD (TFD) analysis with rates, charts, and price prediction. Learn about TE-FOOD (TFD), its technology and potential.